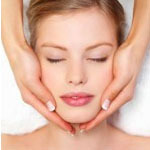 We offer a wide range of facials and treatments to suit all types of skin for people of all ages. All available from our luxury log cabin located in Camberley, Surrey. 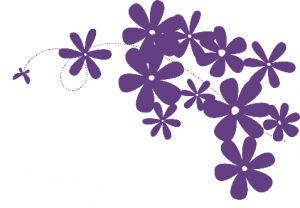 Nina is an expert facialist and will help you select the treatment that’s right for your skin. Nina can also offer guidance on the best skincare routine and products to help you look your best. After your treatment, why not treat yourself to a make up lesson too? A rejuvenating, anti-aging and wrinkle improvement facial treatment comprising of cleansing, toning, exfoliating and anti-wrinkle serum and eye cream to instantly firm the skin. Using Arbonne’s RE9 Anti-Aging range which has been clinically proven to visibly reduce fine lines in 24 hours, this luxury facial provides instant rejuvenation. 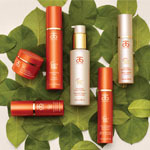 A soothing facial using the gentle Calm range by Arbonne which is perfectly formulated for sensitive skin. This deep cleansing anti-acne facial uses Arbonne’s new and highly innovative Clear Future range. 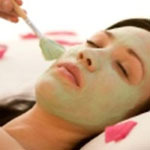 A fabulous treatment to rejuvenate the skin and improve skin radiance. Comprises of deep cleansing, toning, exfoliation, massage, masque with eye cream and tightening serum.